Need a vehicle for a large group of people? A party limo bus in Toronto is the way to go. 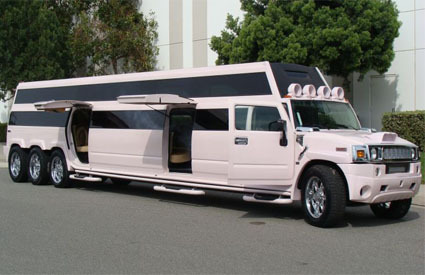 Whether you have 20 people or 50, you can book a limo bus equipped with all of the amenities you need. A professional, reliable chauffeur will drive you and all of your guests anywhere in the city you want to go. Bachelorette parties, weddings, proms, company celebrations, airport services, tourism: these are just some examples of the many events you can rent a party bus for. The gratuity may or may not be included as part of your booking price, so ask about that beforehand so you’ll know whether you should tip your driver. Whether you’re a resident of Toronto or a visitor from out of town, you can have a lot of fun with a limo bus. You can even arrange for one to pick you and your family up from the airport. If you have friends in the city, just have the driver pick them up along the way to your final destination. Of course, you don’t even need a destination with this kind of service. You can simply ride around the city in style. These are called “party” buses for a reason. They come equipped with many entertainment features, ranging from music to bars. Features include comfortable leather seats, strobe lights, a bar, and just about anything else you want to add. The layout of the vehicles includes seats that face toward the center rather than the front. This seating arrangement creates an ideal social environment. Since a single bus requires a lot of maintenance and service, you must choose the rental company carefully. Go with a company that has been around for a while, like Majestic Limos. Look at pictures of the fleet to get an idea of what the buses look like. You should also ask a company about its cancellation policy just in case something happens and your group has a change of plans or your event is cancelled. While it’s best to book at least a few months in advance, you still must be absolutely certain of the date and time. Hiring procedures are also important since you are putting the safety of a lot of people into the hands of the driver. The company you hire should screen its drivers and train them to drive buses and operate the safety and tracking equipment they come with. Don’t agree to any terms until you know exactly what you are going to pay for and what is included with the bus you rent. If you need any specific amenity or service, make sure it’s included in the agreement. Having a party limo bus in Toronto can be a whole lot of fun – just as long as you book everything correctly.